A must-have to retain the stock catalytic converter with Hedman Hedders. 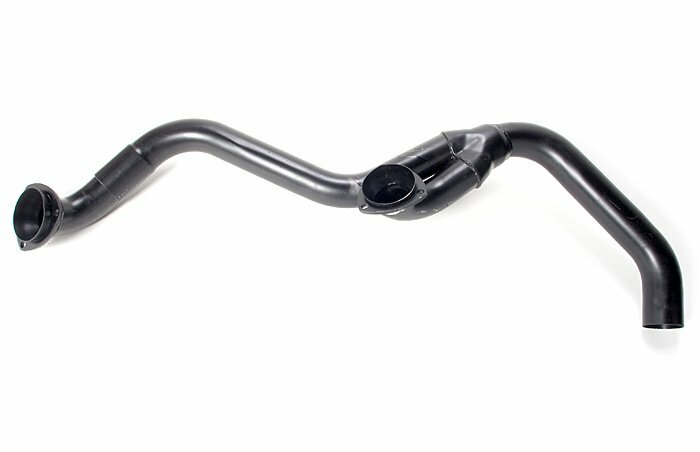 These Hedman Y-Pipes offer maximum ground clearance on your Firebird/Camaro. Features 2-1/2'' Primary Tube and includes all emissions hookups. Complete with Y-pipe for use with single catalytic converter. Does Hedman 17478 fit your vehicle? 17478 is rated 5.0 out of 5 by 1. Yes, this should fit your application. will this bolt up to the existing mounting spots on my 1987 firebird? And will my hedman hedders bolt straight to the y pipe? Will i need a welder? Assuming your hedman headers have a ball&amp;socket style collector, yes. You would need to seal the pipe at the outlet of this and inlet of the exhaust. Primarily it would be welded. Can this y pipe be used with any type of headers? Or just Hedmans headers? This will only fit Hedman headers.